There are many vaporwave artists. Tons of defunct ones, such as Internet Club or Golf Swingers, and tons of recent ones, like Chris††† and T e l e p a t h. All of these people were, in some way, inspired or influenced by artists of simply plunderphonics. John Oswald and The Residents are notable for beginning to deconstruct vinyl records and create new mixes of them. Vaporwave was born out of that, making it more based around the nostalgia of the 80s and 90s. Now I can’t say for sure, that any are inspired by Jon Leidecker, better known as Wobbly, better known as part of a plunderphonics group entitled Negativland. For a good comparison to his works, think broken transmission and signalwave, but more melodic or rhythmic. Almost an English Freed From This World (by Internet Club, under the name New Deluxe Life. In Japanese). Unlike that album, though, Wild Why takes you on a ride not to an empty room with a broken TV in it, but instead through urban areas. The album is a collage of commercial radio broadcasts taken from the San Francisco Bay Area. It manages to take primarily hip hop and R&B samples and throw them into that aforementioned broken TV. The opening track is mostly a time-stretched repetition of someone saying “Yo!”, which gives off the impression that this will be an ambient record. It’s not at all ambient, as you’ll realize upon the next track that puts together a rapid-fire montage of the same word, “Yo”, over fifty times. With that track being somewhat enjoyable, it can still be counted as an intro. It’s not close to melodic, and questionably rhythmic. Luckily, the next track, “Uhh, Hey Eh. Check It Check It”, takes snippets of a song to construct a house-like beat. It places an acapella atop it and treats it as if it’s a theremin, making it whine over the beat. This song is the first example of the admittedly pretty neat sampling techniques used on this album. It chops up old radio broadcasts and turns them from slow-jams with someone rapping over the top to multiple people reading poetry over blastbeats that just happen to be danceable at times. Just when the fourth track begins, the sample has simple breaks put in between vocal lines to give it a rhythm. After that, many new grooves are short and subtle. From this track to the last, it just goes uphill in terms of creativity. Going forward, we hear the same decent feverish hip hop songs with the same sampling styles. It’s not necessarily what you’d call vaporwave, but instead more of a frantic IDM record using samples. Of course, this record turns out inaccessible sometimes. “Girl. I Getchoo. Oh Oh Oh.” is a combination of the more straight-forward songs on this, and the most experimental ones. It seems the more difficult ones to get through are the most transformative tracks; they chop it up and play around, quite clearly, more than other songs that straight up use whole sections of the song, like the all-too-basic “Saxgag”. This track in particular beats the rest in accessibility and mainstream appeal. That’s because it’s a slowed down (or sped up? It’s hard to tell.) beat from another song with some of the best chops and experiments dropped in at almost random times. You don’t have to skip it, of course, it offers a simple pause in the non-stop roller coaster of old-school hip hop that Wild Why presents. “Yeah, You, Me, You, Kiss Me Drive Me,” marks a turning point for the album. This song samples what seems to be a more easy-listening track. Strangely enough, this marks the point where the tracks become more experimental and begin to blend together. “Uh What, Uh Huh. Two” is the first song that demonstrates this style. The hypnotic loop of The Vengaboys’ (in)famous track is put behind a woman’s offbeat singing. In the original context, it must sound angelic, but over this loop it just sounds strange. As we continue on, it sounds the same as I’ve described before. Chaotic cuts, singing chopped up to create new lyrics over blastbeat hip hop drumkits. This whole record could have easily been trimmed to 20 tracks. After perhaps seventeen iterations of this formula, it becomes not grating, but simply uninteresting. Though it shows off more of Wobbly’s impressive plunderphonic style, there’s really no point for seven more. Maybe as B-sides, or bonus tracks, or they’re just there for if you crave more. Generally, though, there are so many tracks that seem to be less for listening, more for (audibly) seeing how the artist utilizes his samples. The last track sounds more like a broken radio than the rest of the album is, as the sample becomes cut so rapidly and strangely that it doesn’t even sound like music anymore. 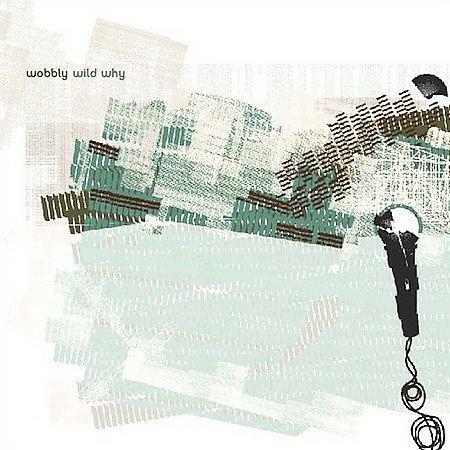 Despite the excess of tracks, Wild Why by Wobbly is a fantastic demonstration of where using other songs’ snippets in your work can go. Transporting you to another area of creativity in an urban environment without boundaries of the city, Wobbly tries his hardest to create an insane array of chugging breaks and smooth jazz over haunting vocals.